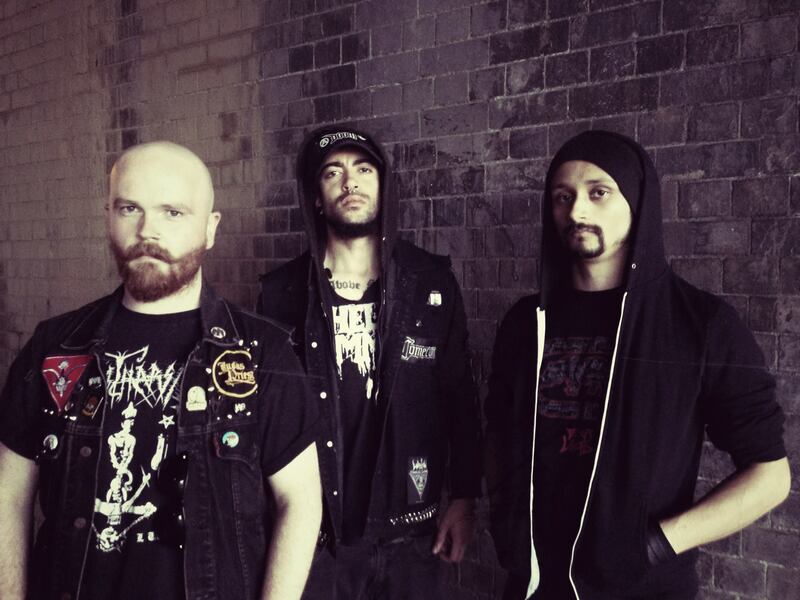 TOWERS OF FLESH, the blackened death metal trio from the dark extreme underground of the Uk managed to spit out another record. Their first one was a good appetizer. Let’s hear if the Antithetical Conjurations is a worthy follow- up. This album kicks off with a strong instrumental song. It immediately shows what the band has got to offer. Black death with a very haunting and eerie sound attached to it. They are labeled black/death, but my ears tell me they lean more towards the black metal side! The up-tempo parts may be a bit badly produced (the cymbals are too high in the mix) and the mix could have been a bit more spicy. They managed to keep my attention with the more melodic parts on this record. The mid-paced parts are the gold on this record. The structure in these parts is still brought very minimalistic, yet the emotion it is drowned in is just that perfect eerie vibe we blackies love! The record has its ups and downs. All by all it’s still a nice ride! 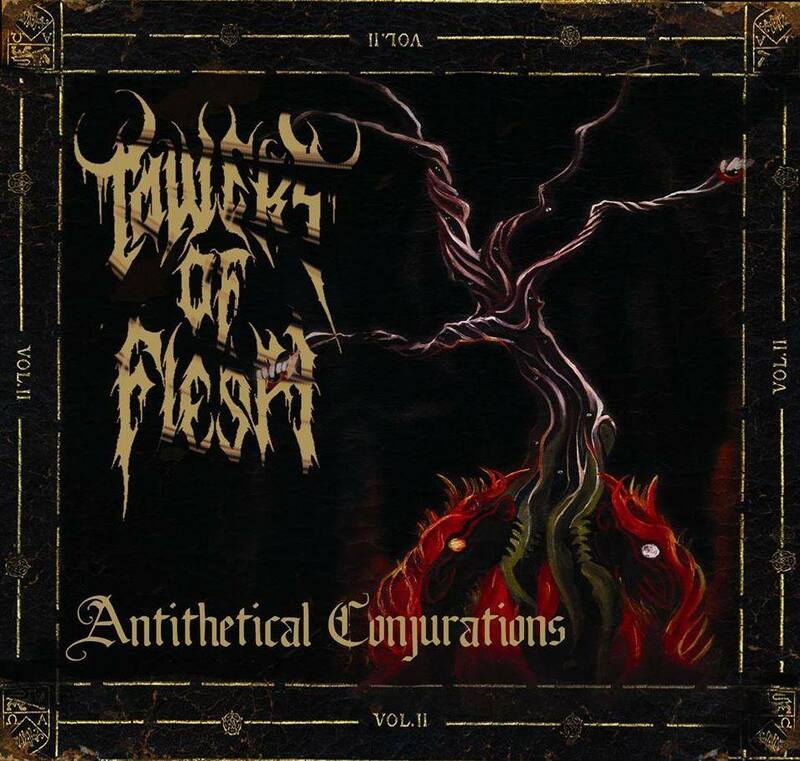 Towers of Flesh are back with a decent follow –up in their career. For those who like their black/death dark and sinister! 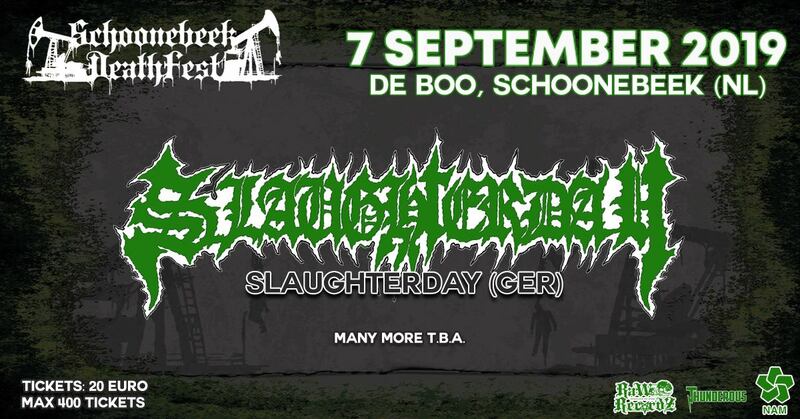 Review:GRINDBASHERS “THE GRINDING DUTCHMEN” – Herrie Records, Out now!